Richard Kerkdijk MSc. is a Senior Security Consultant at TNO. He obtained his masters degree in applied physics in 1997 and has been an active player in cyber security ever since. His present role involves strategic advisory work, technical and non-technical security evaluations and coordination of cyber security research and innovation projects. 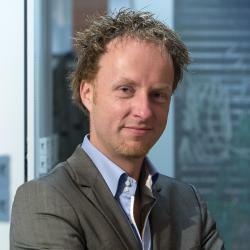 Richard mostly conducts assignments for (CISOs of) telecoms providers (across Europe) and financial institutions (NL), but he has also done commissions for the Dutch National Cyber Security Center (NCSC), the Dutch Cyber Security Council and the Dutch MoD. In addition he acts as vice-chair of the ETIS Information Security WG, an industry body that facilitates collaboration among the CISOs of European telecoms providers. Richard has been involved in a variety of CTI oriented research and advisory projects. Among other things, he led pan-European trials for automated cyber threat intelligence sharing among telecoms providers. In this particular talk, he will present the outcome of a collaborative project with Dutch financials that explored the capabilities required for establishing a mature CTI practice. 2. What Are The Characteristics Of A Mature Cyber Threat Intelligence Program And How Is It Measured?